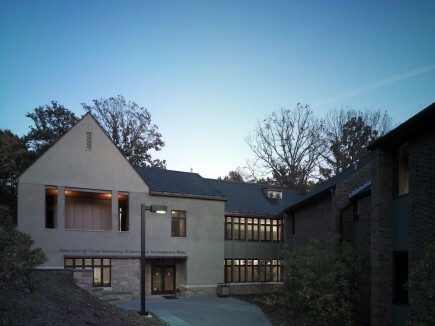 Basing its design on the Quaker ideology and principles of community, simplicity, and environmental conservation, Ziger/Snead worked closely with the students, faculty, and staff of Friends School of Baltimore to create a long-term master plan for the comprehensive development of its 35-acre campus. 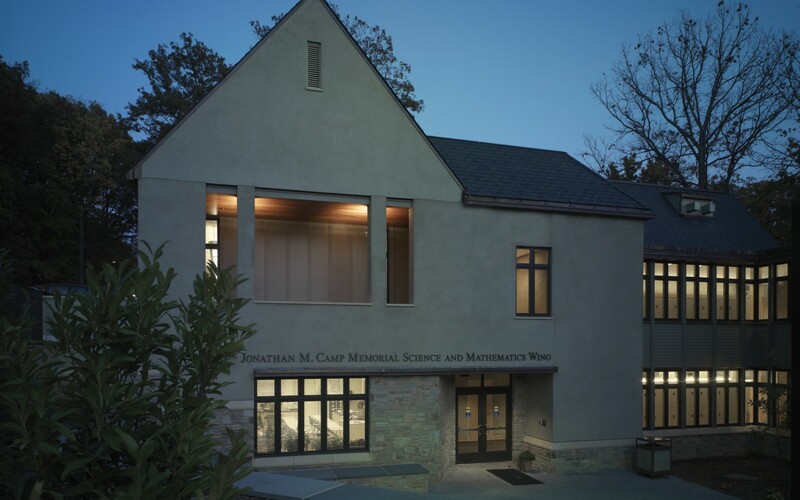 The densely-planned site is organized along a new “village street” which forms the center of the pedestrian-oriented campus. 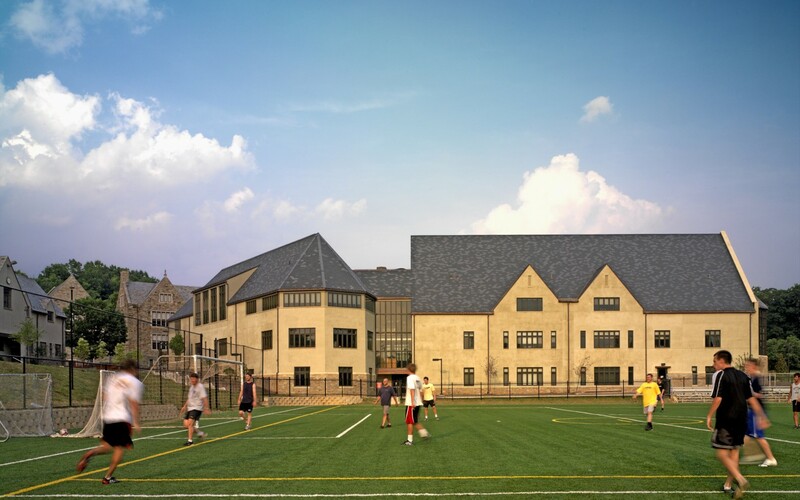 This design not only enhances opportunity for social interaction, but efficiently organizes utilities and maximizes opportunities for on-site sports and recreation. 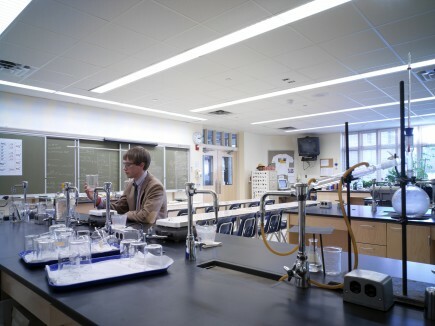 The master plan calls for a central utility plant utilizing geo-thermal heat exchange, reconfigured playing fields and tennis courts, an addition to the upper school Science and Math Technology Building, a new middle school, a new performing arts and dining facility, and significant improvements to the campus landscape. 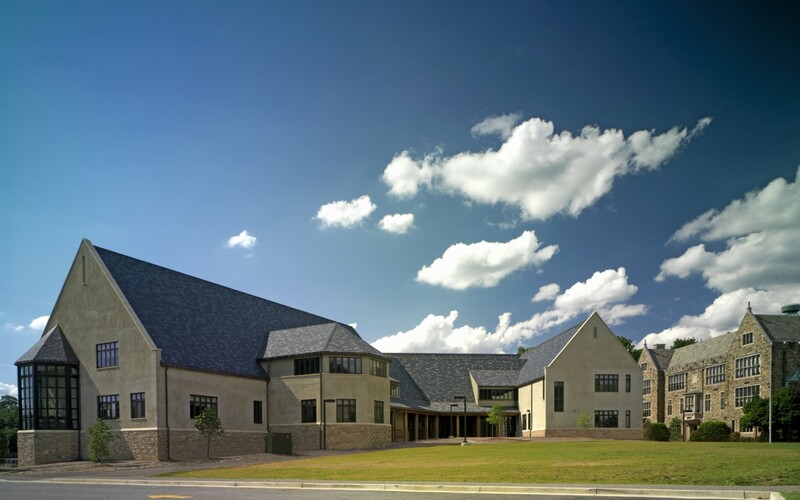 The new middle school and the upper school addition were created as the first phase of the master plan. 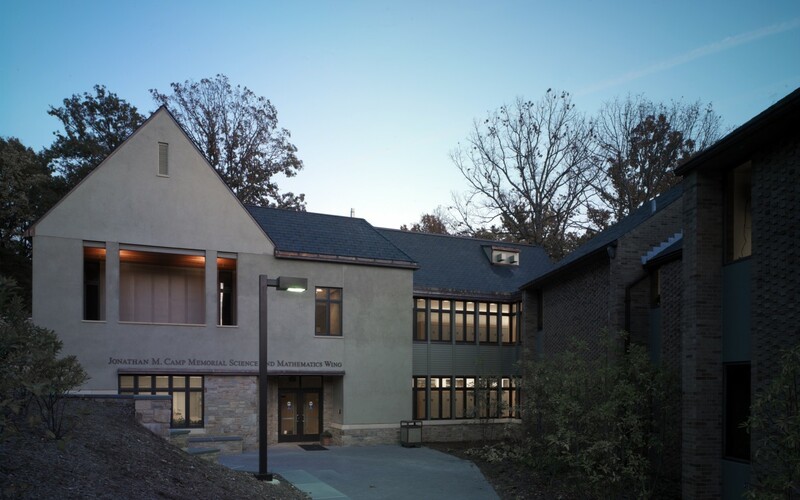 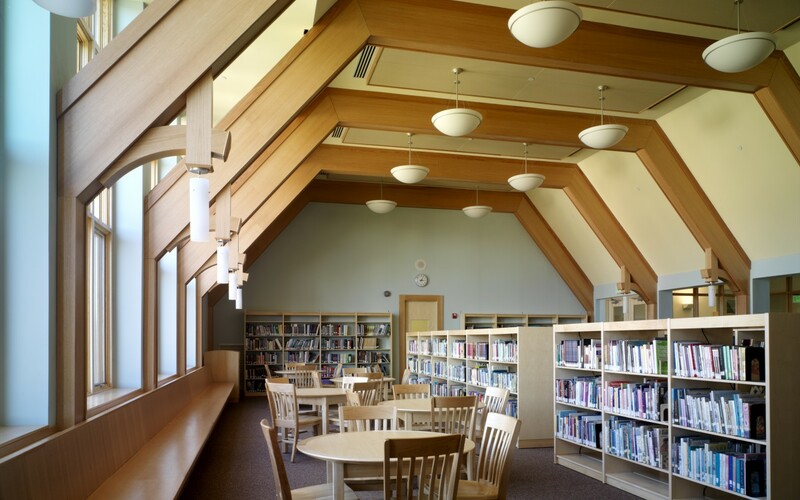 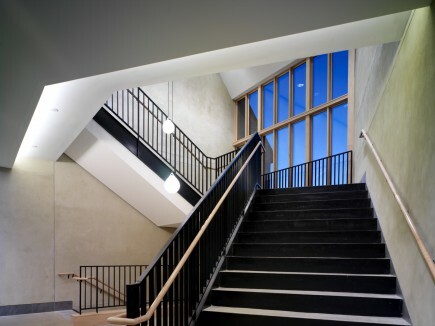 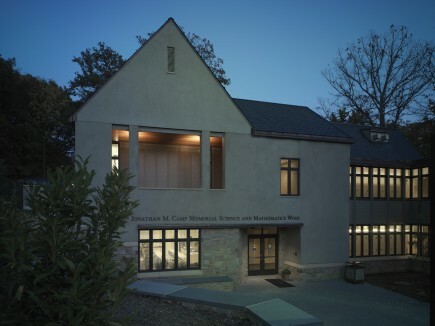 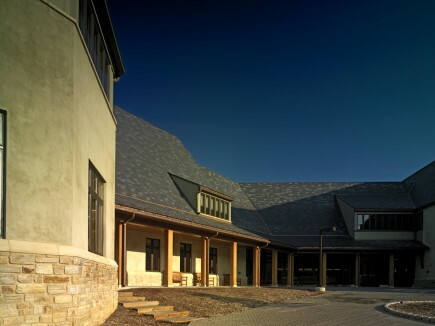 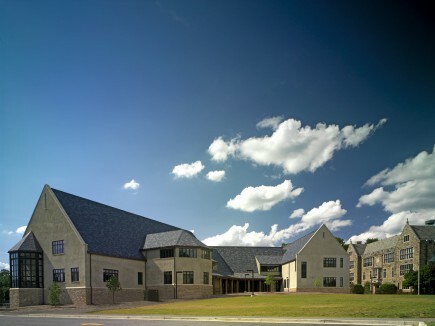 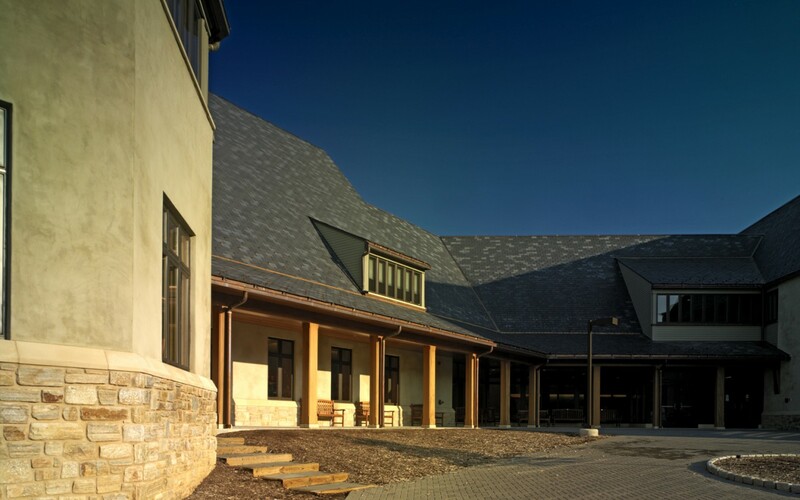 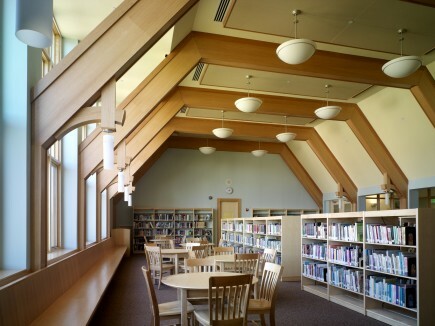 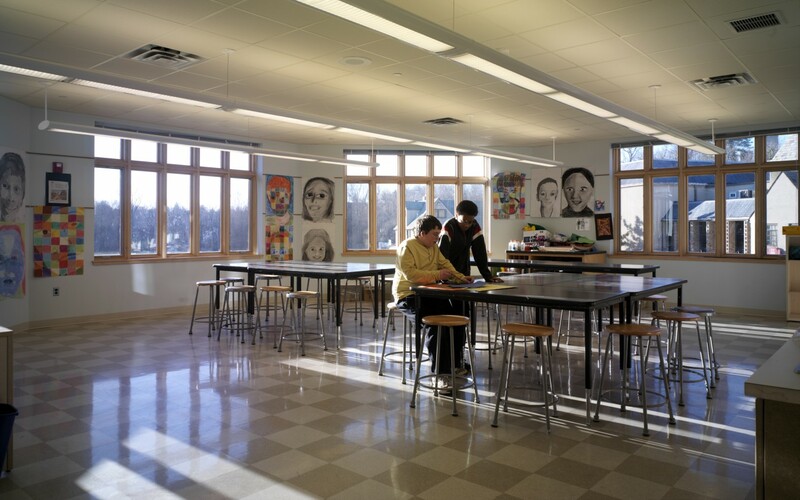 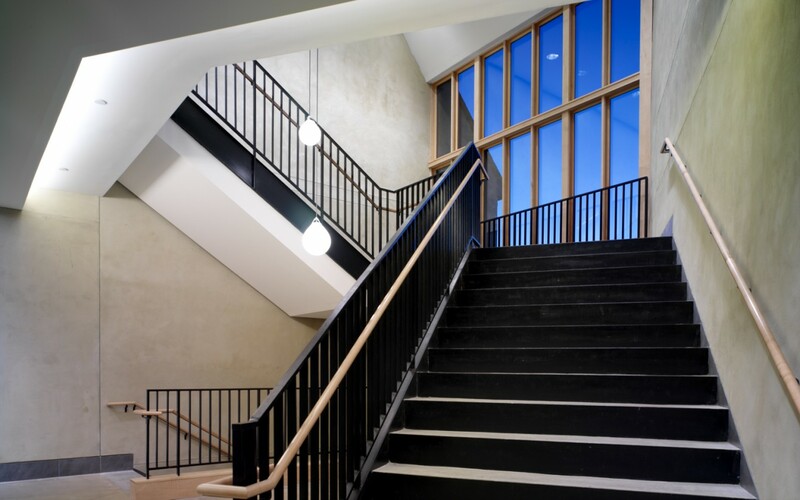 The new buildings incorporate stone and stucco used in the existing buildings and reflect their steeply-sloped roofs, scale, articulation, and character while incorporating modern technology, green principles, abundant natural light, well-appointed classrooms, and a variety of casual learning spaces. 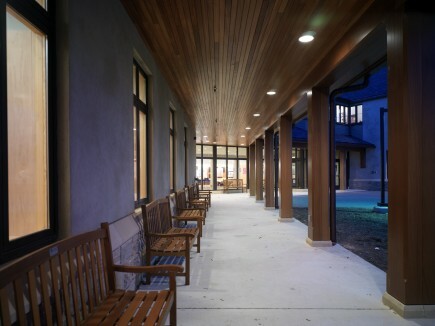 The middle school is organized around a common gathering space and large covered porch. 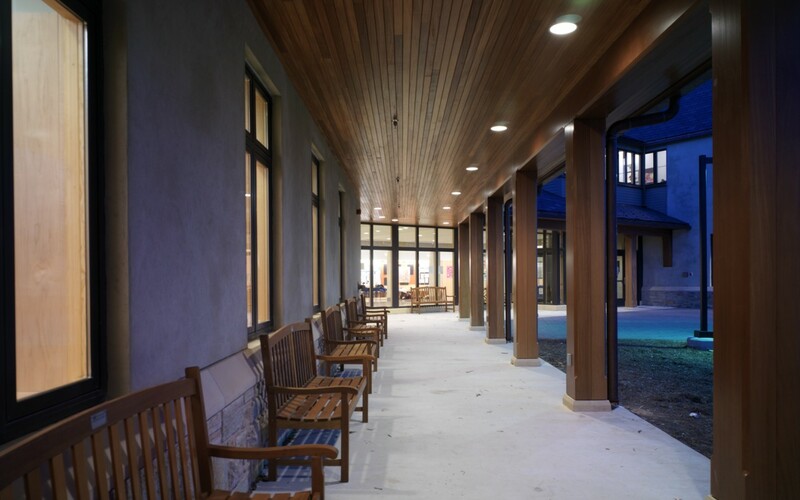 Both facilities embrace the landscape with outdoor classrooms and seating areas. 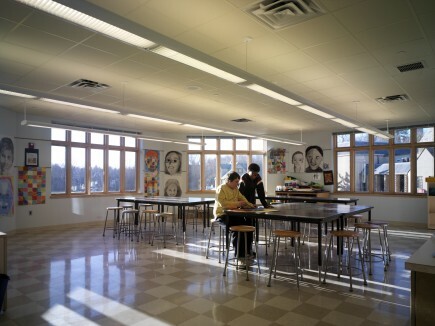 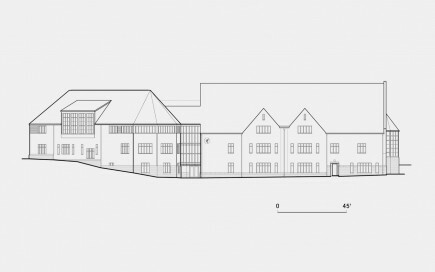 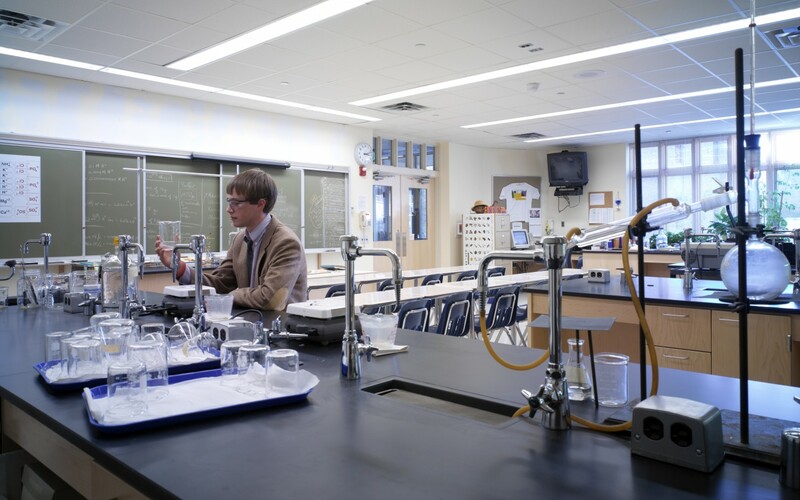 Area: Upper School: 13,500 s.f. 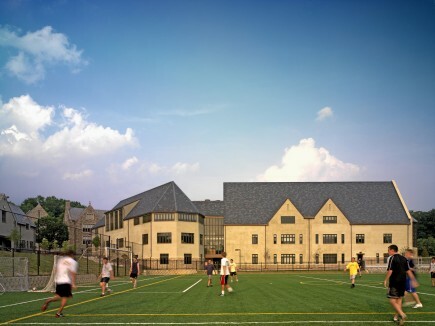 renovation, 6,000 s.f. 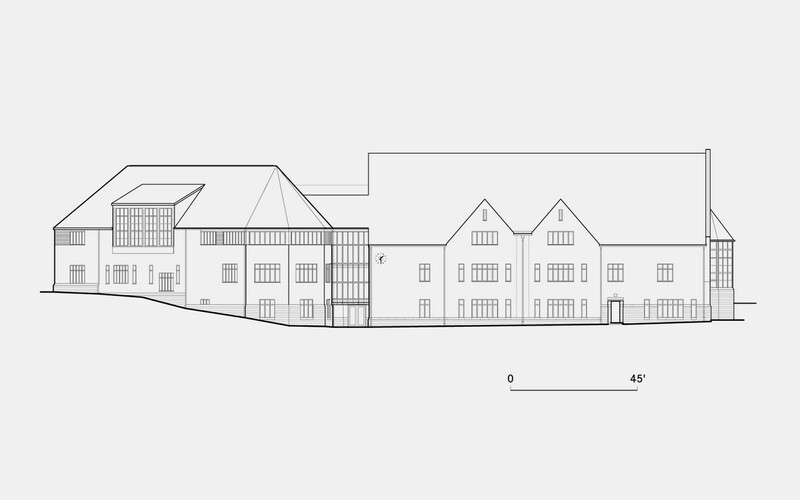 addition; Middle School: 42,000 s.f.